It is so much fun to read your blog and view your creations. I hope "the under hat surprise" is that you are coming out with your own line of stamps. Omgosh! 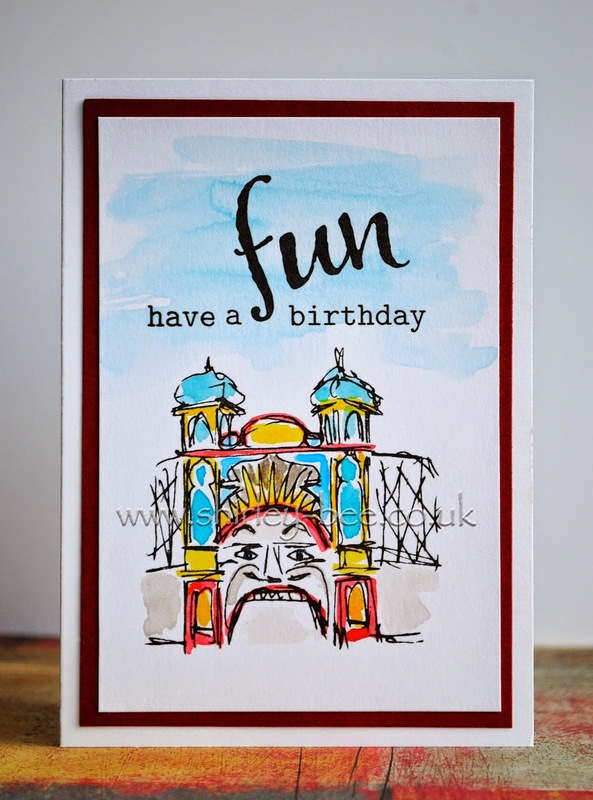 Is that Luna park?, how do you make your designs? Is it from scratch? I so wish I could come and play with you! I love this card! Fun Q&A - giggled re the splatters! Thanks for passing on the batten and for your lovely words! Super fun learning more about you and your creative style. Beautiful card! Such a great image!